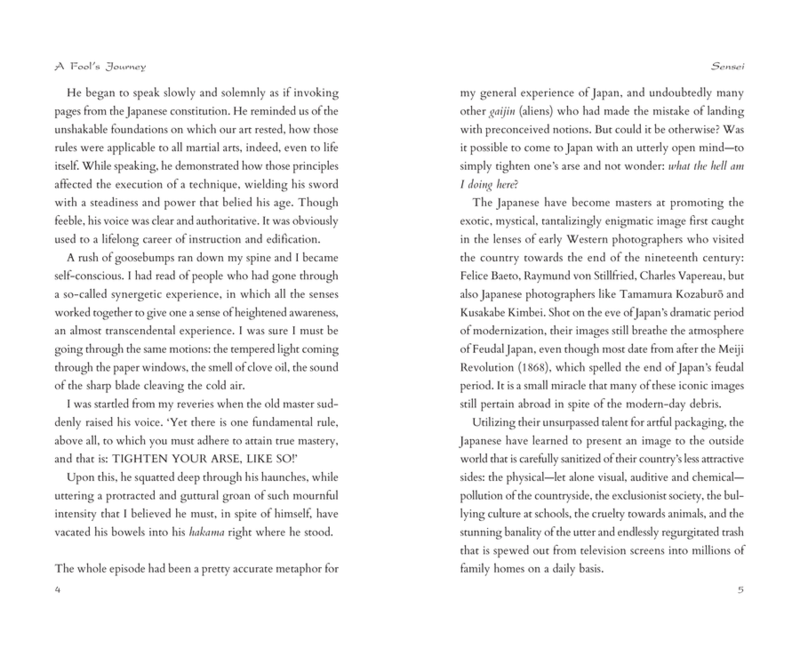 Walking Japan's ancient inland route in search of a vague romantic notion, the author encounters a string of idiosyncratic characters. 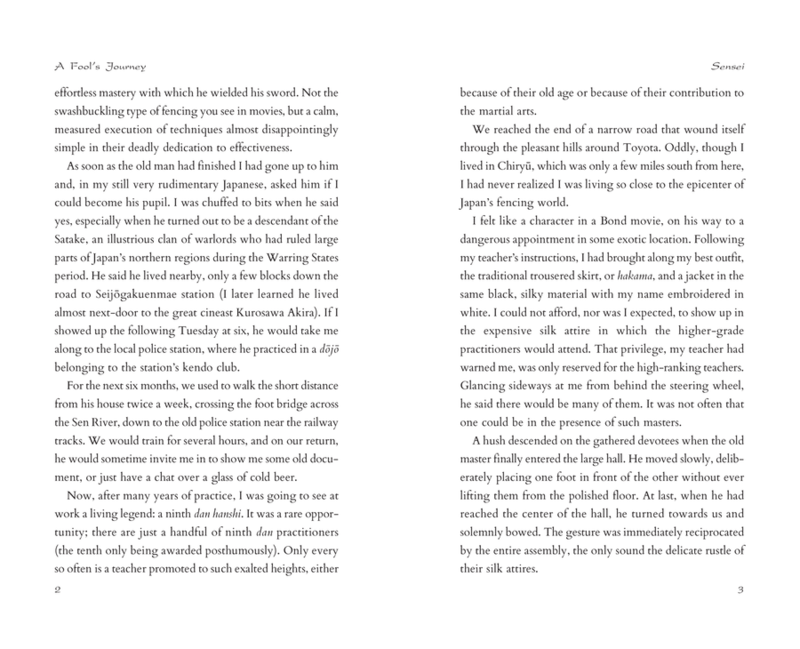 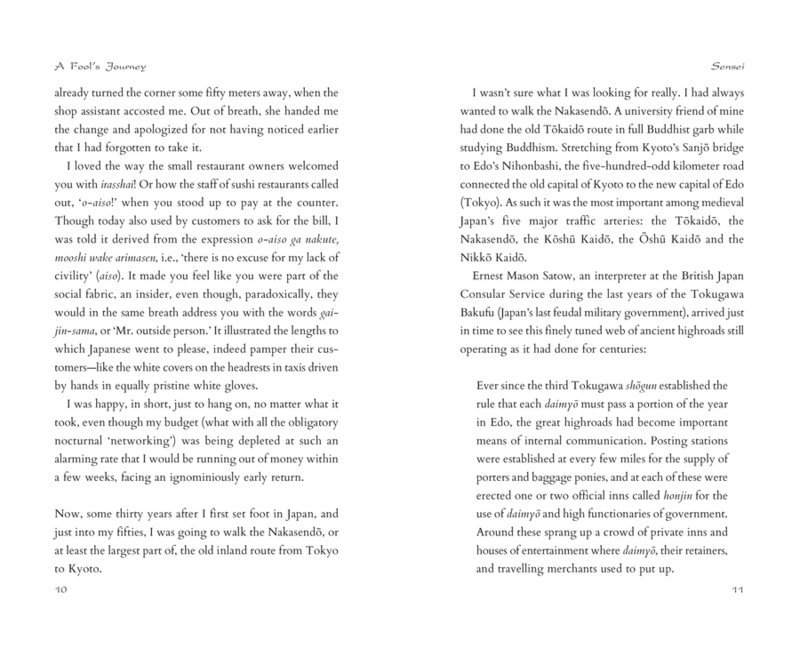 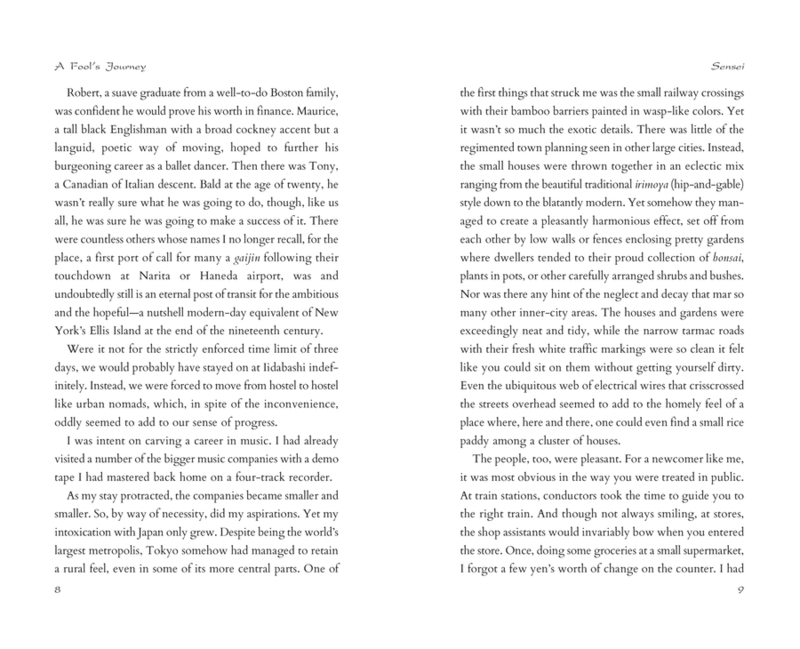 Recording their stories, the author braids a travelogue deftly interwoven with his own experiences since he first set foot in Japan some thirty years ago. 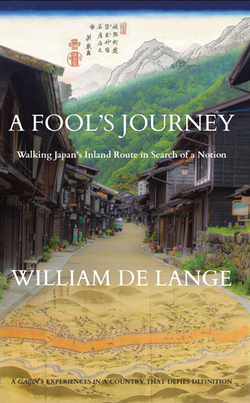 At times hilarious, at times serious, at times moving, A Fool’s Journey is an exploration of one of Japan’s most scenic routes and its fascinating past. 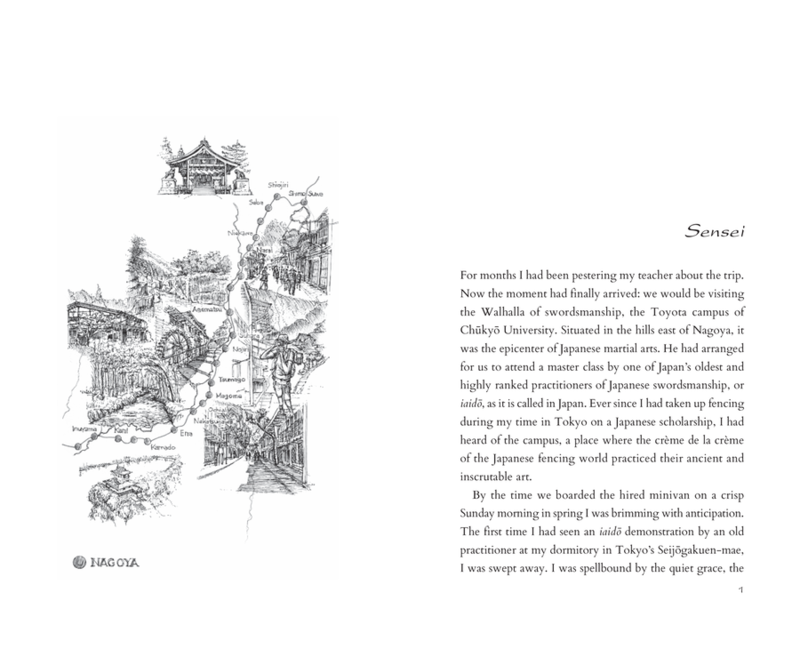 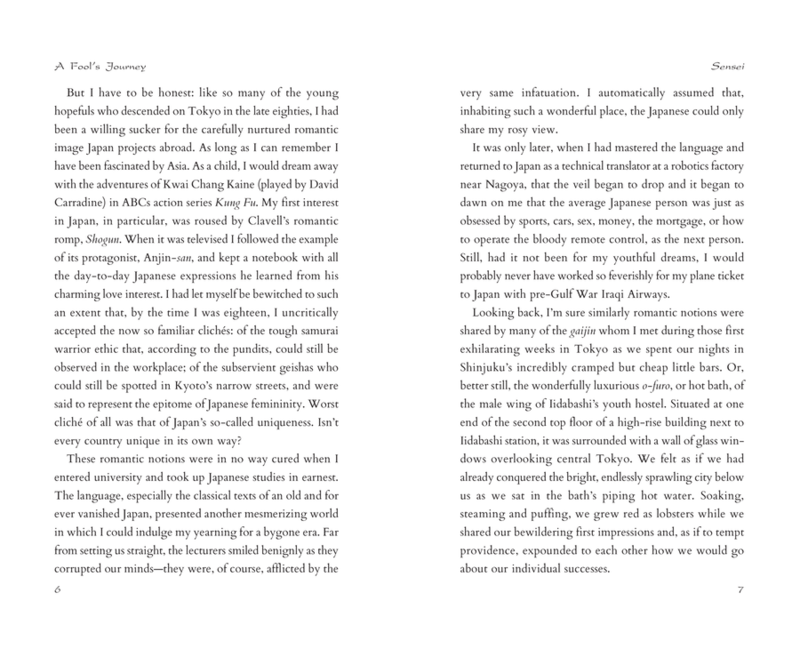 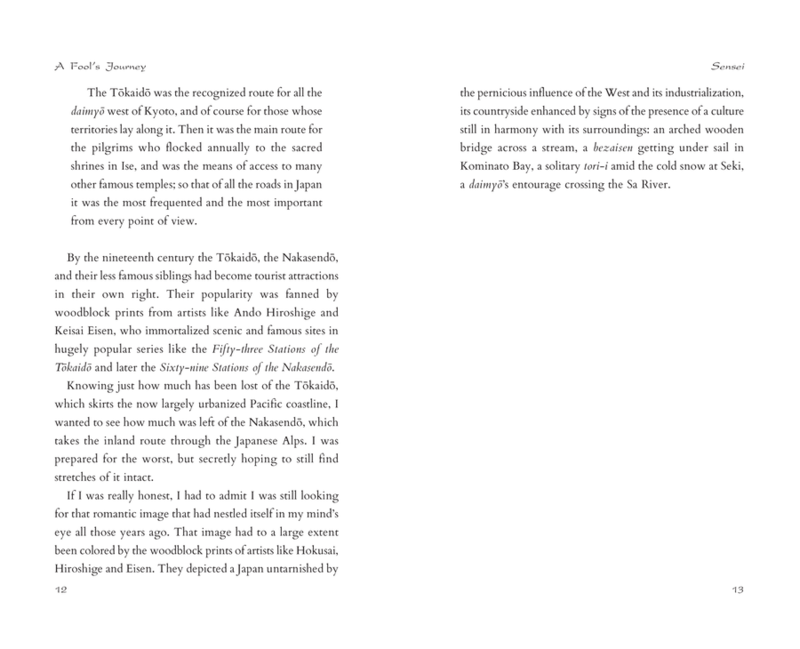 Above all, it is a gaijin’s exploration into his relationship with a country that continues to defy definition.